Asparagus. Asparagi. The kids don’t particularly like them. But I keep making them because there are only so many times each week that I can serve broccoli. My mom made this dish the other night for our family gathering in Houston. The recipe comes from another Junior League cookbook, this time from Monroe, LA, Cotton County Collection (circa 1974). 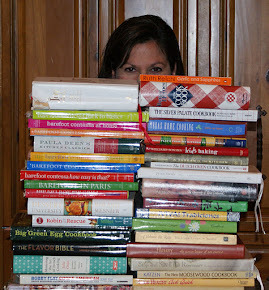 Maybe that’s a whole series of posts – cooking our way through Junior League cookbooks across America. Gotta come up with a snazzy title: Junior League-licious. Junior League Cookbook Journey. Cooking: JL Style. Creative ideas welcome. Much to the kids’ dismay, we had an asparagus tasting (see sentence 3 above). The winner was this recipe vs. some asparagus with a sun-dried tomato vinaigrette. Note to self: cover any and all vegetables in butter and parmesan for an increased likelihood of kid consumption. All 3 actually ate these! Drain 2 cans of asparagus; or steam 1-3 bunches fresh just till done (approximately 5 minutes); or blanch in the boiling water. To blanch, boil salted water, blanch for 1-3 minutes until tender yet slightly crisp (not soggy). Remove the asparagus from the boiling water and place in a bowl of ice water to stop the cooking. Drain the water and pat dry with paper towels. Arrange asparagus in a Pyrex dish. Melt butter (microwave is fine but cover with a wet paper towel so the butter doesn't explode all over the inside.) Mix the melted butter with 3 T of lemon juice and drizzle on the asparagus. Sprinkle with 1/2-1 cup grated parmesan cheese and then some paprika. re-heat at 425 degrees for 10-15 minutes.